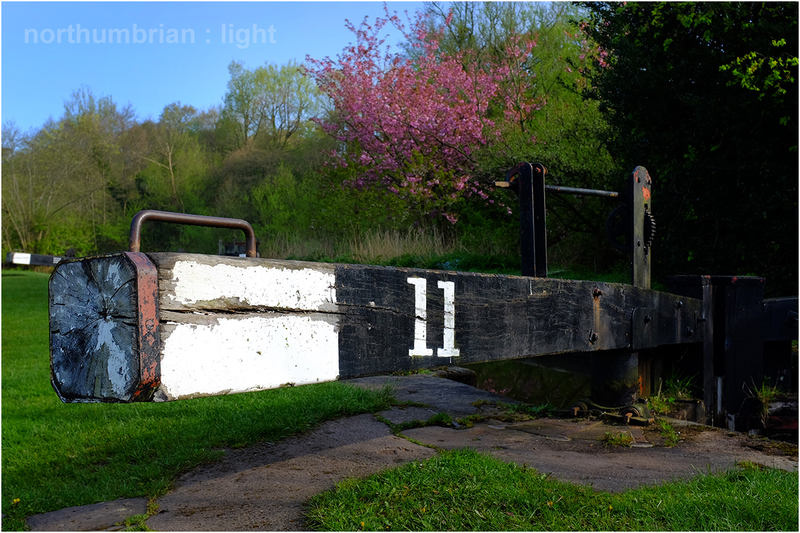 Long ago I lived in the village of Bosley on the edge of the Cheshire/Staffordshire border. To its east is the Peak District National Park and to its west, The Cloud – the village sits in a spectacular setting. Bosley once boasted a quaint petrol station at the Buxton crossroads, an Italian restaurant, a village shop and post office, but no more. What remains is a church, two pubs, a farm, scattered housing and a reservoir below the nearby hills which feeds the Macclesfield canal. Despite all this you could still speed down the A523, which slices its heart, blink and miss it. 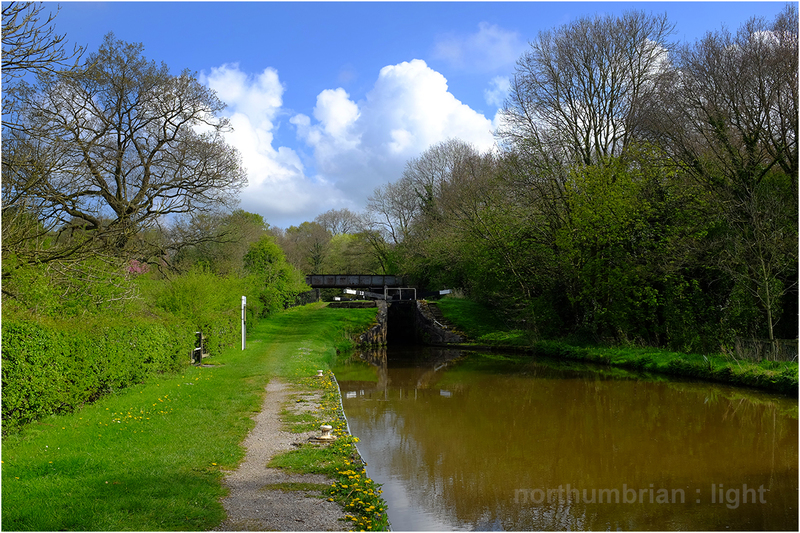 The Macclesfield canal connects the Trent & Mersey at Kidsgrove with the Peak Forest Canal at Marple. 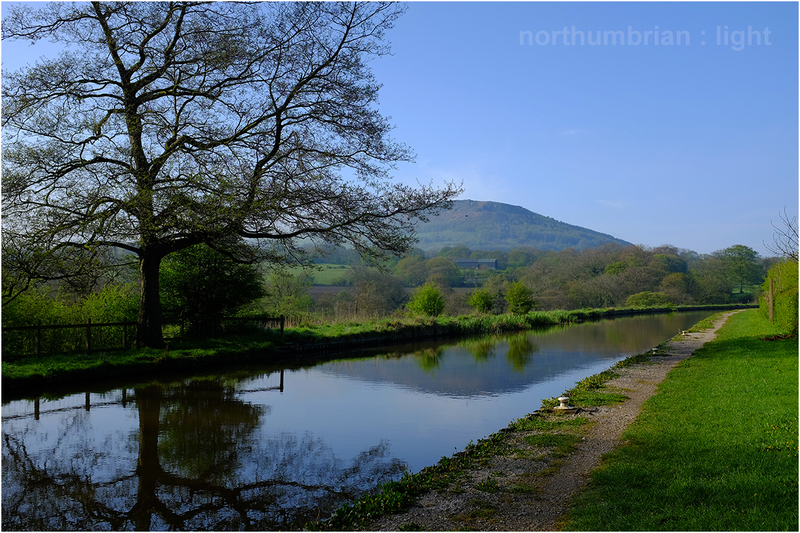 It is at Bosley that the canal crosses the river Dane by Telford’s magnificent single arch aqueduct and then begins the 118 feet, 12 lock ascent to the Macclesfield level. 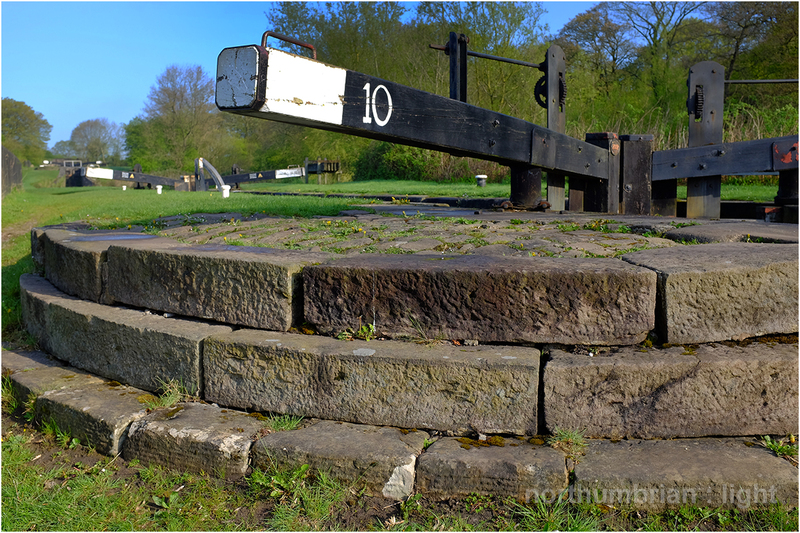 The mooring on the approach to the bottom lock, high on the embankment above the river and in the shadow of The Cloud is one of the finest on the entire system. 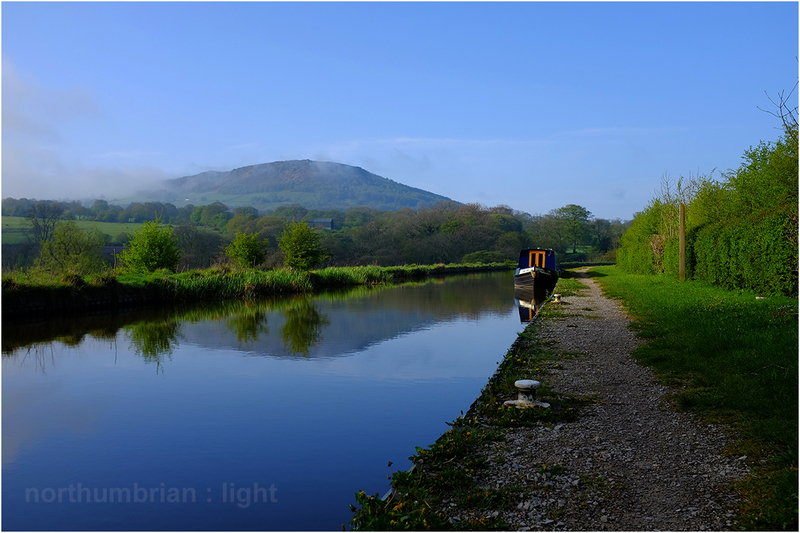 Despite having to cruise through a monsoon, I was determined to moor there overnight – our reward was waking to the most glorious morning we could have wished for – Spring had arrived. Later that morning we walked down to the river Dane from the Old Driving Lane Bridge No. 57, crossed the fields to Bosley Mill and then climbed up to the church, emerging onto the A523 opposite the Queens Arms. Three houses along from the pub is where I used to live – far too convenient. A lady was tending the garden of my old home so I introduced myself. Within a few minutes we were kindly granted a tour of the cottage – being back in those rooms again (much improved) 32 years after I last closed the front door was a strange experience. As a child Mrs K attended the junior school next door and has now lived in the cottage for 29 years. Nevertheless, part of me is still there. “I was so much older then, I’m younger than that now”. (this is how the cottage looked during the addition of a garage – the tractor driver is my eldest son, now somewhat older). Beautiful images, especially the first one! Many thanks, it is a beautiful place. Nothing like a clear morning after heavy rains. I can just smell that air. Looks like a quiet place to live, though I imagine that a commute to work in a bigger town would be grueling. Not only brilliant shots, Robin, but a very lovely story. You are very good at this memoir stuff – a light touch. Look forward to the next instalment. 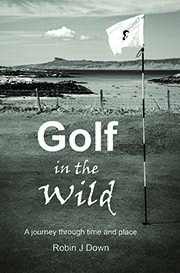 Many thanks Tish, that is a very gratifying comment particularly as my golf book is at least 30% memoir 🙂 (it owes a lot to Andrew Greig’s Preferred Lies – I recommend him as a poet and author – I think he has only produced the one golf book so you can just ignore that one). Many thanks MM, it is a great place. I have some black and white versions which I may post before we disappear again – creates a quite different atmosphere. Enjoyed reading your post, and those spring images! The top shot is something a bit special, Robin. Lovely work. Many thanks Robyn, I enjoyed doing that one. It certainly was and a couple of the winters were quite exciting too. The hills to the east in the National Park were even more spectacular and just a short drive away. Happy days (mostly). It looks quite idyllic, Robin 🙂 Expect the canal needed a drop of rain to top it up. It is a lovely place Jo. That evening cruise through a monsoon was reminiscent of the day we moved into the cottage – absolutely torrential and not good for emptying a removal van. The spring green adds such beauty and romance to these pictures! The contrast between the evening dark skies and the morning spring greens was astonishing. Thanks for stopping by.